30 Park Place, the perfect Tribeca home, developed by visionary Silverstein Properties and masterfully designed by Robert A.M. Stern, offers a new paradigm in luxurious living Downtown. Private residential lobby with labyrinth-patterned stone floor, white lacquer walls, silver leaf rotunda ceiling, and fireplace. Private residential entry on Park Place framed by Robert A.M. Stern designed sconces and ornamental metalwork. Duplex Penthouse features a double-height loggia showcasing awe-inspiring views. The perfect Tribeca home, Thirty Park Place offers a new paradigm in luxurious living downtown. 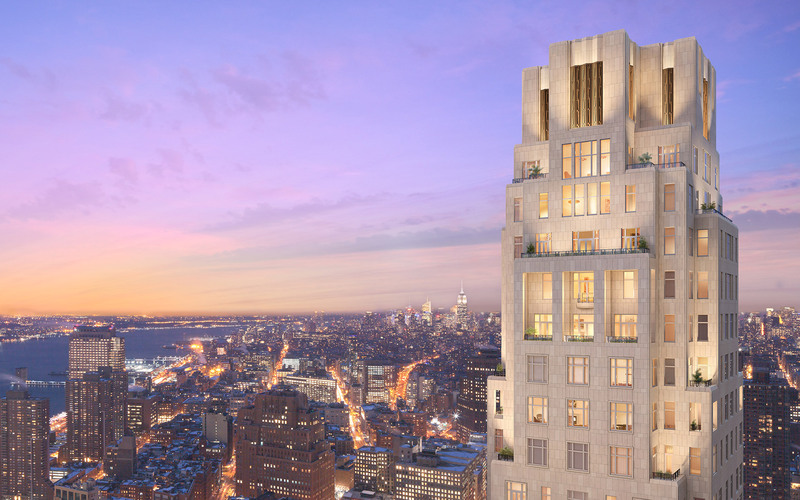 Developed by the visionary developer Silverstein Properties, and masterfully designed inside and out by Robert A.M. Stern Architects, it is a beacon to those seeking an urban refuge of great character and beauty.